1. Any idea on number of marathons you have run over the distance of 42k? Never Race Marathons. Racing in mountain, I don’t’ know…but almost 20. 2. What got you into running? The people who do ski mountaineering are generally also trail runners in summer to stay fit. They encouraged me to take it up and I first tried it in 2006. I saw that it suited me pretty well so I carried on, that way I cover the two seasons. 4. Where was your first trail running race? Cavalls del Vent, 80k when I was 13 years old. And 1st seriously race Valmalenco-Valposchiavo, in Italy, at 2007. 5. Favorite trail running course and distance? I like all distances. Each distance gives the possibility to explore different sensations and limits. But I don’t like flat ground, I like running in the mountains, high or low. The vertical kilometre, skyrunning, ultra trails, whatever - as long as I’m up in the mountains. 8. As you do so many big long distance races (and in the mountains!!) how do you prepare to combat the challenges of injury that humble some of the best runners each year? 9. What are your personal and salomon team goals for the year? 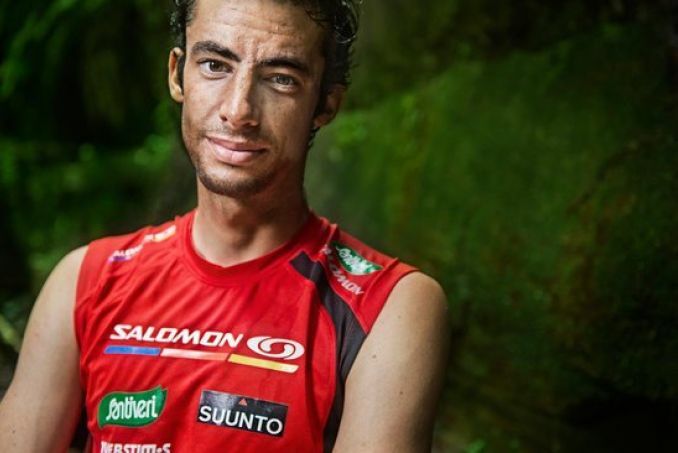 Salomon team, create a team spirit, be friends before competitors, and victories came, we won all the important races (ws100, Leadville, HR100, utmb…) and my goal, Discover a lot of thinks, meet a lot of persons…I don’t like talking about races, are in the past, my goal is in the future, and is continue to enjoy mountains. 10. What are the biggest differences between racing in Europe compared to racing in North America or Asia? They’re different kind of races, In USA, Australia the trails and mountains are more flat and larges, and temperatures worm. The spirit is very friendly. In Europe, trails are more in high mountains and very technical. And runners are very competitors, we have a lot of spectators in the races. In Asia, Is a young sport but trails are very technical, and runners are very strong in this parts. 11. Have you ever had a running coach and what did you learn from them? Which teammate or coach has taught you the most over your career? For 4 years now I’ve managed my own training programme. But around the age of 13, I was in high school and pretty much by chance we heard about the Centre de Tecnificació d’esquí de muntanya de Catalunya (CTEMC – Catalunya technical centre for ski mountaineering). I got through the selection events and discovered ski mountaineering. I started to train properly, in an organised fashion thanks to the support of the technicians: Maité Hernández who taught me to train and to really fight, and Jordi Canals who passed on his passion for the sport and for competing. This was a major phase for me – I was training every day, the first Spanish championships and then European championships came up, my first victories, a few failures, and a lot of encouragement. 12. What is your typical race day routine? Do you have any prerace superstitions? I don’t have an specific routine, I train every day, usually breaking the day into 2 sessions, a long one in the morning and an easy one in the afternoon. That adds up to about 25 to 35 hours a week, except for the weeks when there’s a race. Then I train a lot less, about 15 to 17 hours.No superstitions. 13. What is the one moment in your career that you are most proud of? Every day I go in mountain with one person and I see he or she is happy. 15. Ever injured? Which kind and how serious? In 2006, I suffered a severe knee injury (transversal fracture of the knee cap), it cost me my entire winter season and part of the summer season, as well as two stays in hospital. Following the knee injury, I was afraid I wouldn’t get back to my best level of fitness, I increased my training so that I could take part again in high level competitions. I started running again at the end of the summer, I had a few victories in the Gore-Tex series and I beat the world record for the Vertical Kilometre. 16. Hot or cold weather runner?Cold 17. Morning or evening runs? 18. What is your motivation?Mountain is my life, I love. No one, when one race was bad, you learn more than if you win. The freedom you gain in the mountains, I love the fact that I’m practicing a sport in such a magnificent environment. The landscapes and the terrain are always changing. 23. If I didn't run I__ski ___. 24. I can't run without____mountians_____. 26. How many days after a marathon do you usually start running again? 27. What is your typical night before the big race meal? Normal, I don’t feel a lot the pressure…I race 45 times a year…one race is another normal day. 28. What's the farthest you've ever run at one time? 29. Any other comments to encourage ultra runners to go the distance? Don’t thinking training and running like a work…just enjoy, love the sport….The strongest muscle in body is mind!